Prompt finance for that leisure vehicle you’ve always wanted! A common misconception that is widely evident in society is that finance for a leisure vehicle is next to impossible. Thinking that lenders and brokers won’t take them seriously if the reason for the finance is purely recreational, many people hold off their ambitions of that dream bike or holiday thinking that there is no hope. However, we’re here to tell you that financing a vehicle for purely leisure purposes is not impossible – in fact, it’s very doable! Car Finance 4 You has assisted many thrill seekers and travel enthusiasts with their own leisure vehicle, allowing them to finally live the life they’ve always dreamed of. Best of all, securing finance for a leisure vehicle is also possible for those who may have, for whatever reason, a chequered credit history. We specialise in bad credit caravan and bike loans Melbourne wide, and can have you behind the wheel of your dream vehicle in no time. To get an idea of the repayments for our financing, please play around with our car loan repayments calculator. For the thrill seekers amongst us, there’s nothing quite like owning your very own motorbike. The freedom to go wherever you want to go, as well as that feeling of the wind in your hair and the open road, are just a few of the many reasons why life on two wheels has been so endearing to thousands of Australians. When you want your very own motorbike as soon as possible, be it for leisure or work, talk to the experts at Car Finance 4 You. We tailor a competent list of the most reliable lenders for you to choose from, each offering you only the most flexible repayment rates that you will find anywhere else. We specialise in a direct, consultative approach with you, getting to know and understand your desires and requirements, working with you to secure the best deal possible for you. Financing for a caravan is a particularly popular option for those wanting to hit the open road as quickly as possible, without worrying about the initial, lump sum payment. A flexible caravan loan allows you to finally take that dream holiday around Australia that you’ve always wanted, with minimal disruption and fuss towards your ideal getaway. What’s more, it can also allow you to pay off the loan after you return, leaving you to enjoy every minute of your tour. 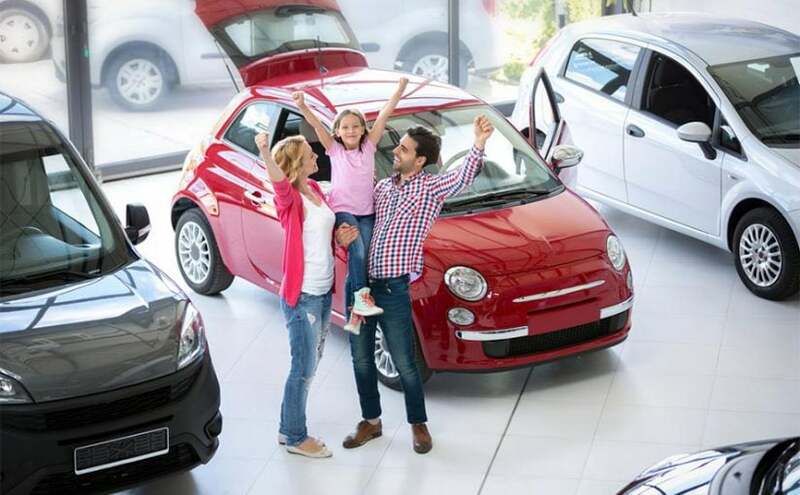 At Car Finance 4 You, we are the leading provider of quick and easy approval for caravan loans Melbourne wide, and as such are best suited to help you on your journey to your dream destination. We provide you with a reliable comparison of the leading lenders throughout Melbourne, and are more than happy to advise you on which particular course of action to take. Owning your very own boat is one of the greatest feelings in life, allowing you the freedom to explore the open sea completely at your own will. Flexible boat loans are actually quite popular, especially in Victoria, with many choosing to go down this path for their own little piece of luxury. Car Finance 4 You can easily finance your very own marine vehicle, no matter whether it’s big or small, and can send you on your maritime journey quicker than anyone else too! We work with close association with some of the leading lenders and finance providers throughout Australia, and with the experience in boat financing gained over thirty years, you’ll be in good hands. We can work out which particular financing plan is best suited to your needs and requirements, allowing you to get that dream speedboat or yacht that you’ve always wanted promptly and securely. So don’t delay and speak to one of our friendly consultants by calling us today on 1300 862 775, who will be more than happy to guide you through the next step in securing your perfect leisure vehicle! We also provide business car finance, on top of being the leading provider of car loans in Pakenham, Ringwood, Croydon and surrounds. Car Finance and Bad Credit: It’s Not Impossible!